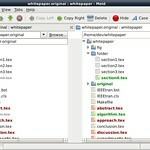 Meld is an open-source GUI tool which can visualize and merge differences between files or directories. 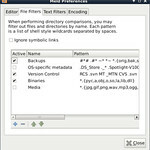 Meld provides two-way and three-way comparison via intuitive GUI. Also, it can visualize conflicts and perform automatic merge in order to aid in otherwise complex merging processes. 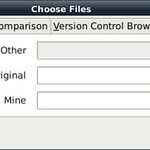 Meld can support various version control systems such as subversion, git, mercurial, bazaar, to perform basic version control operations in their repositories. 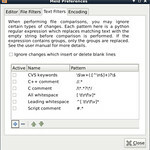 Other features include regular expression based text filtering, syntax highlighting, multilingual support, etc.